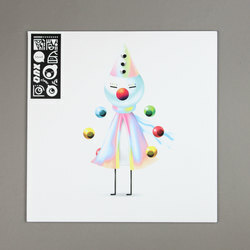 Iglooghost - Clear Tamei / Steel Mogu. Vinyl LP. Bleep. For those who are unfamiliar with Iglooghost … well, let’s just say you should brace yourselves. There are few artists currently recording who have a sonic aesthetic as dense as the one born Seamus Malliagh. His tracks are digital overloads that draw from juke, braindance, IDM, trap and computer game music. Cartoonish and clever, every element of the Iglooghost experience is meticulously crafted - from the drums that remain ultra-precise even as they run at impossible speeds to the new language Malliagh has created for his lyrics. Close compatriots include artists like Ziur and Sophie, but the truth is that there isn’t really anyone else out there doing what Iglooghost does. And it feels like he’s getting better with each record too. 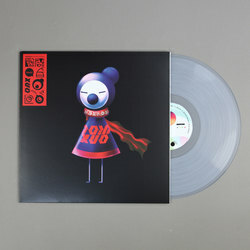 This lovely new Brainfeeder release brings together Clear Tamei and Steel Mogu, two EPs recently self-released by Iglooghost, in one set. 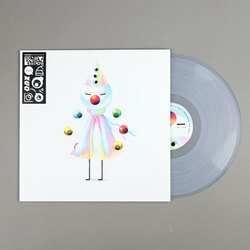 Pressed on clear vinyl, the edition also features artwork in the maximalist day-glo style that has very much become Iglooghost’s signature these past few years. If the sound and vision weren’t proof enough of Malliagh’s genius, this Clear Tamei/Steel Mogu union also comes with a comic strip. The story centres around an ancient legend from Mamu, the hyper-real land that Iglooghost’s art exists in. All in all, Clear Tamei/Steel Mogu is another unique package from a unique artist.